Another interesting month in the world of b-segment sales. The Kia Soul had the biggest sales jump up a tick over 61% vs. April 2009. Plus, it's overall sales vs. 2009 is way way up! The Nissan Versa was in second, but is way out front overall with more then 75% compared to 2009. The Hyundai Accent and Kia Rio sales have cooled, but aren't doing terribly bad. Suzuki has slowed the bleeding losing only 5% this month vs. -49% in March. The biggest loser for April? Toyota—Yaris sales were down more than 50% for the month. 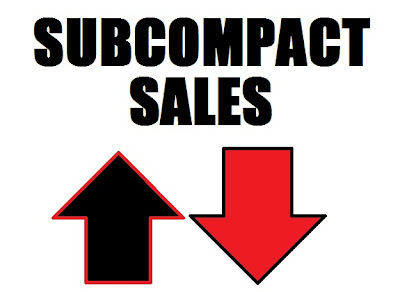 However, Smart is still the slowest selling subcompact with just over 2,000 units sold in four months, although the Scion xD isn't too far behind. Of note: Kia's Soul has crossed the 16,000 vehicle mark for '10 already, and isn't too far behind the Yaris' sales numbers. It's already outsold every other subcompact except the Accent, Yaris, and Versa. Onto the big board! Seems like the Rio facelift is improving sales. I'd like to see the Rio sales broken down by body style - is the Soul cannibalizing Rio5 sales or do they appeal to different market segments? Who in the HELL are buying that god-awful Aveo and terrible Versa. These must be fleet sales because no one in their right mind would pick those two awful cars above some of the other, much better offerings in their class.